Current health trends are proving we need something more than the traditional approach to “supplementing” a healthy diet. The diagnosis of disease both physical and mental is on the rise while our nutritional status continues to decline. This pattern has put our society at the unhealthiest state in history and it is getting worse. We are now at a point where nutritional supplements are becoming requirements due to nutrient deficiencies. Ongoing research is finding injectable nutritional therapies are important for many disease states and could be essential to slow the steady decline of societies health. Over the last 10 years there has been a change in the approach to handling nutrient deficiencies for many consumers and it seems they may have good reason. Consumers are finding comfort in vitamin injections because of their better absorption and the compounding pharmacies that are manufacturing them are highly regulated. With recent news highlighting that many oral supplements did not contain the actual ingredients that were listed on the containers and some were contaminated and potentially dangerous has strengthened that position. At first glance, oral dietary supplements appear to be the most convenient and effective method of correcting nutritional deficiencies, but recent investigation into the nutrient supplement industry found that not all supplements are created equal. Furthering the problem is the lack of regulations leaving consumers with the difficult job of finding reputable manufacturers. Recently the government found several well-known stores and manufacturers were selling nutritional supplements without the listed ingredients, leaving consumers wondering which companies to trust. 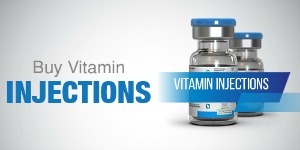 Speak to a Medical Provider about Vitamin Injections Today! What the recent investigation revealed is not new. In May 2009,consumer watchdog company Consumerlab.com performed an extensive analysis investigating the purity and potency of 1,600 oral supplements. Of the products tested, 25% were found to be sub potent, contaminated or both. Since the FDA is not responsible for ensuring the purity, potency or efficacy of vitamin supplements, the quality of these products is the sole responsibility of the manufacturer. In addition, most oral supplements contain cheap fillers or excipients, which may decrease absorption of the active ingredients by the body. Of course, this does not mean that all oral supplement companies use bad manufacturing processes. There are reputable companies, but the problem is you have to do your homework to find them. 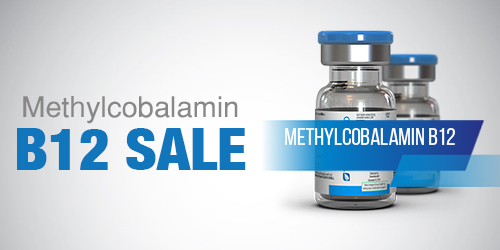 Vitamin Injections, on the other hand, only contain ingredients that meet the strictest verification requirements by the United States Pharmacopeia–National Formulary (USP-NF). USP-NF certified ingredients are guaranteed to be of the highest purity, potency and quality available. By prescribing vitamin injections, you ensure that patients receive the absolute best active ingredients at their correct strengths without additional fillers or contaminants. According to an investigation by the New York State attorney general’s office into store-brand supplements at four national retailers — GNC, Target, Walgreens and Wal-Mart—; all of which have received cease-and-desist letters demanding that they stop selling a number of their dietary supplements, few of which were found to contain the herbs shown on their labels and many of which included potential allergens not identified in the ingredients list. “Contamination, substitution and falsely labeling herbal products constitute deceptive business practices and, more importantly, present considerable health risks for consumers,” said the letters, first reported today by the New York Times. A 2012 paper published in the Journal of the American Medical Association warned that this lack of regulation of the supplement industry could lead to “adverse events.” In the past five years, tainted supplements have been associated with kidney failure, hepatitis and other problems. Oral supplements must first be broken down in the digestive tract and absorbed by the body before the active ingredients can begin to exert their effects. In addition, low quality nutrients and cheap fillers can decrease the bio-availability of supplements, greatly reducing intestinal absorption, resulting in unpredictable levels of the active ingredients reaching the bloodstream. Vitamin Injections, however, provide direct delivery of nutrients into the body’s tissues, ensuring 100% absorption of the active ingredients. When administering Vitamin Injections, you can be assured that your patients are receiving the exact dosage of the nutrients you have prescribed which are immediately available for utilization by the body. Once absorbed by the digestive system, oral supplements are heavily metabolized by gastrointestinal tissues and liver before being released into systemic circulation. This process, called first-pass metabolism, greatly reduces the amount of active ingredients available to the body. In contrast, vitamin injections avoid the first-pass effect. Consequently, the active ingredients are not subjected to the extensive metabolism encountered by oral supplements, resulting in higher levels of nutrients actually reaching their target tissues. Oral supplements must first undergo digestion, absorption and metabolism before any nutrients are released into the bloodstream. This process can take hours before the active ingredients start to become available to target tissues. Unlike the oral route, the injectable administration of nutrients is a rapid method of dietary supplementation. Following the injection of vitamin supplements, the body can start to utilize the active ingredients immediately in order to correct dietary deficiencies. Because of low bioavailability and extensive metabolism, oral supplements must be dosed frequently to be effective while still not correcting micronutrient deficiencies. Depending on the brand, some supplements require the patient to take several pills per day. Vitamin injections, on the other hand, are completely absorbed and avoid extensive metabolism, providing higher concentrations of nutrients available to target tissues. In addition, intramuscular injections create a depot effect in which the active ingredients are released progressively over time in a steady-state manner. Therefore, vitamin injections require less frequent dosing than oral supplements. In summary, unlike oral dietary supplements, vitamin injections contain the highest quality ingredients at the correct potencies without fillers or contaminants. Following administration, the active ingredients are completely absorbed by the body and do not undergo first-pass metabolism. The nutrients are immediately available for utilization to correct nutritional deficiencies. Because of the depot effect and the fact that more of the nutrients reach target tissues, vitamin injections require less frequent dosing than oral supplements. In our medical clinics, we do micro-nutrient testing and many of the clients that have diagnostic test results showing nutrient deficiencies are on regular regimens of oral supplements. 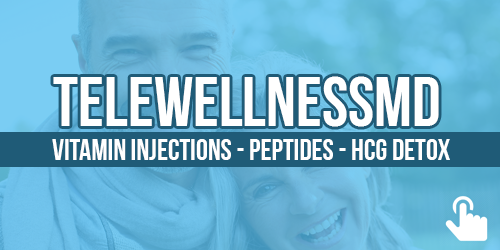 Once on nutrient injections or intravenous therapies, these deficiencies can be overcome.